Binus FX – Indonesia government decided to liberate Indonesia film industry by removing it from the negative investment list (DNI) on early 2016. This decision has spurred the potential of Indonesian film industry, which was previously fully closed to foreign investor. In addition of the improvement of its infrastructure, this circumstance also increase the demand of professional workers, especially for high-quality filmmakers. On “Chinese Film Screening and Master Class by Professor Xie Fei”, which was organized by Binus International Film Program in collaboration with Red and White China Culture Development, Professor Xie Fei from Beijing Film Academy advices on how to become a good filmmaker. “If you want to become a good filmmaker, first you have to watch at least 100 films from all around the world. 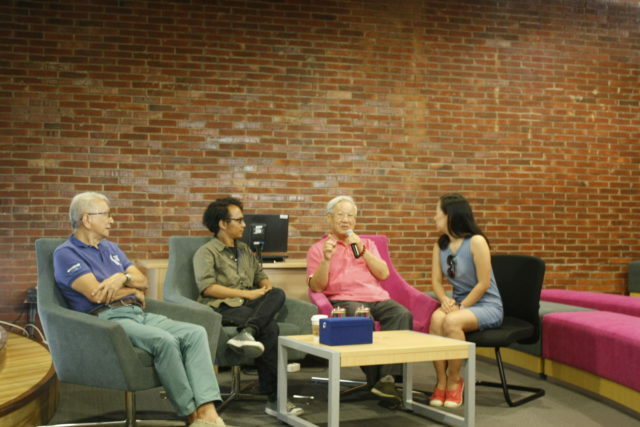 Second, you have to make or being involved within film production as much as you can,” he said during the event on Tuesday (24/5) at Binus FX Auditorium, 6th floor of FX Mall. After the Cultural Revolution in 1966-1976, Professor Fei said that many foreign films entered China. Today, he has learned a lot about the difference perspective within films, something that was difficult to do during the Revolution due to lack of references from abroad. “I didn’t even know who Marilyn Monroe and Bruce Lee were back then,” he said laughingly as he recalled his experience. This experience made him aware that there are pros and cons in every country. In order to make a good film, a filmmaker must understand the culture of a certain country or particular area which is connected to the story. In addition, a filmmaker needs to know his own strength and uniqueness. He also advices young and future filmmakers to keep making film using film tape as it will teach them to be disciplined and make them appreciate the whole process. Moreover, he reveals that film saved on film tape will last longer than the ones saved on digital storage.